where a lively ambience could be felt. All in all a typical Exhibition if it was not for the unrest in Hall 12 stand E69.Not because of the normal Exhibition market cries and eye catchers. This was not needed here because the mass gathering of people who were only interested in the Retrofit-Machine, they pushed and shoved to get a glimpse at this new pioneering Technology in groove making. At this stand the résumé was not good it was superlative, top notch, grandiose and also brilliant to say the least. The object of optical desire was the DEPO Shape-V Machine, which was cutting with immense speed small and deep grooves in space sweeping execution in any sort of material which can be machined by chip removal. People who did not make it to the front of the machine could see this indescribable show of precision on two overhead monitors. For those who got through to our DEPO crew all of their many impatient questions were answered about delivery times and machine testing. Because of this it is no surprise to us that the demand for the special designed short shaft system is very high. 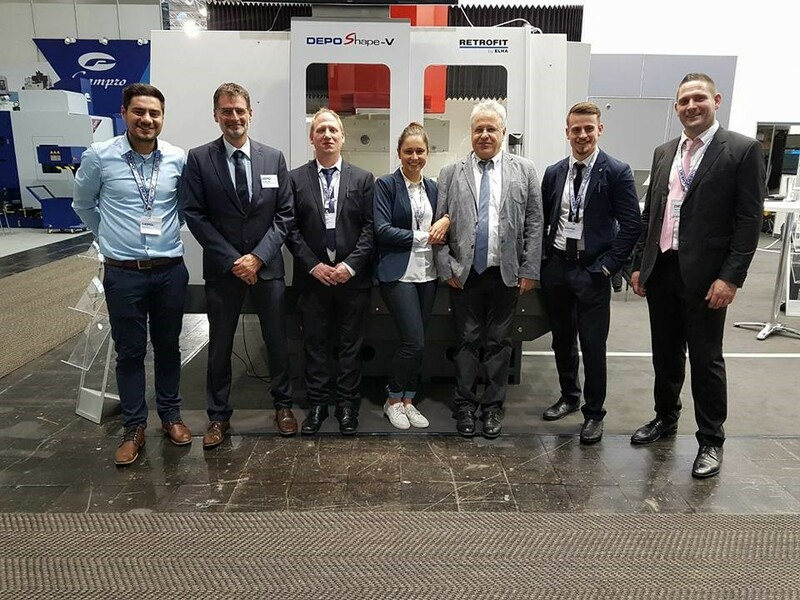 The showcase with a range of the complete short shaft system .clarifies the flexibility that with this system it offers the stable economic processing parameters which make it possible to reach depths beyond 500 mm therefor sophisticated workpieces can be produced. 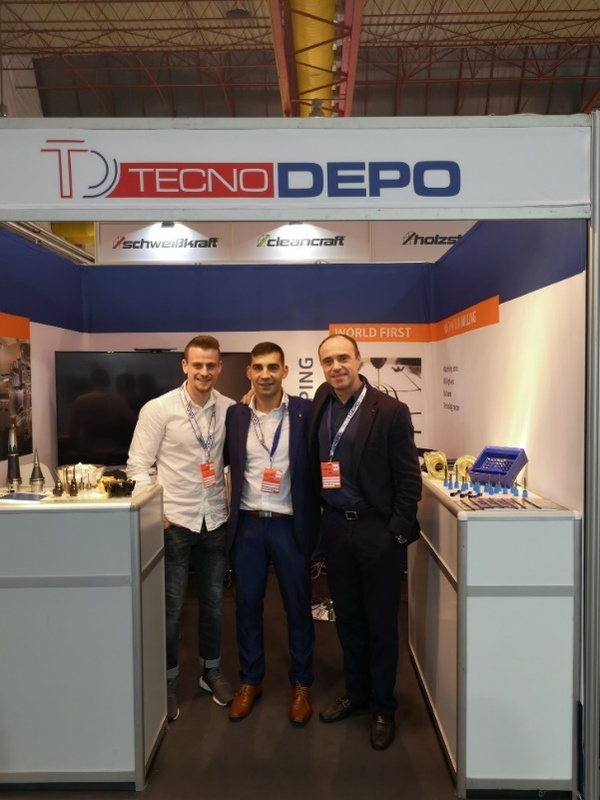 With all the new innovations around work tools it is clear that with DEPO ice breaking progress would be made in Tool, Die, Molding and mechanical engineering. We presented the Vertical Machining Center Xpert-V and the horizontal version Xpert-K due to this modular design type you become the highest degree of flexibility. Also you become excellent process performance.at the highest level possible. So once again it is the products and ideas from DEPO who make the fairway to success for our customers and clear the way so they can stay competitive on the market.